Parth Pawar, is contesting the national election from Maharashtra's Maval constituency as a candidate of the Nationalist Congress Party (NCP) of his grand-uncle Sharad Pawar. Lok Sabha Polls: Over the past few weeks, Parth Pawar has visited temples and travelled in local trains. Parth Pawar, the latest young debutant from a prominent political party, is campaigning with what his rivals call a huge handicap - his Marathi is not fluent enough to help him through the long speeches at rallies in largely rural areas. 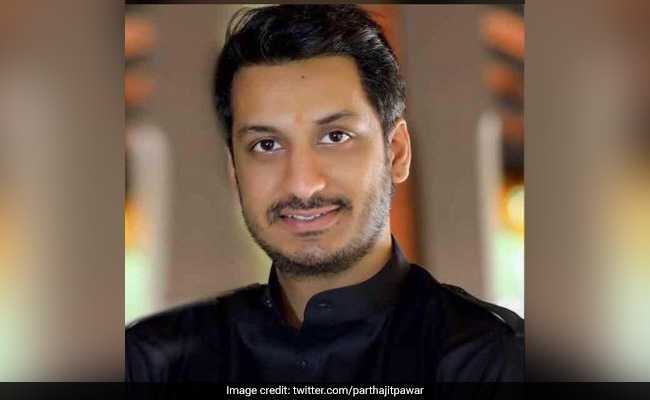 Parth Pawar, 28, is contesting the national election from Maharashtra's Maval constituency as a candidate of the Nationalist Congress Party (NCP) of his grand-uncle Sharad Pawar. Sharad Pawar had first said he would contest the national election - not Parth Pawar -- then he opted out apparently to keep the peace within the family. London-educated Parth Pawar's first speech last month, spoken in halting Marathi, became a WhatsApp forward. He was mocked mercilessly by rivals especially the Shiv Sena. Critics felt he lacked the charisma for rallies and appeared too rank in politics. Asked about his speech struggle, Parth Pawar shrugs. "The last couple of speeches were good. It is a process of learning. I jumped into it a month ago, give me a year I will be a pro," he tells NDTV. Maval in western Maharashtra, an industrial and farming area held by the Shiv Sena for two terms, is barely aware of its much-talked about candidate. "Do you know Parth Pawar," the question leads to a blank look. He hopes to change this. Besides, the family name is not one that can be overlooked easily. Parth Pawar says his main agenda is tackling unemployment. "Our country is a young country. How we can try to generate jobs is the main point." Asked what he has gathered from people during his campaign travels, he says: "There are six assembly constituencies and everywhere there is a different issue. The overall issue is unemployment...companies laying off people...and new companies not coming in," he says.